Seventy antique dealers and galleries from the US and overseas will gather at the Park Avenue Armory for the 65th edition of the 'Winter Show'. 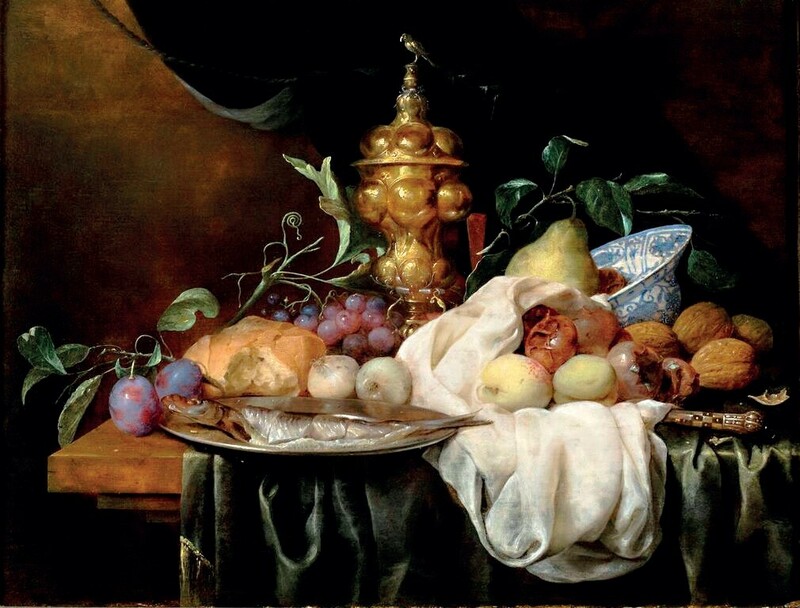 A still-life by Joris Van Son, priced at $200,000 by Robert Simon at the Winter Show. Now renamed (it was formerly the Winter Antiques Show) and with a new executive director (Helen Allen) a distinctive feature of this venerable fair has always been that all proceeds benefit The East Side Settlement, a community-based organisation for the Bronx and northern Manhattan. It has a 10-day run from January 18-27 preceded by its famous ticket-only opening night party. While the fair continues to offer the Americana on which the event built its reputation, as the market evolves the focus is increasingly on European art and antiques. US dealers make up the lion’s share of the exhibitor list but UK dealers are the second-strongest representation with around 14 showing this year. A Roman marble torso statue of Hercules from the 1-2nd century AD, priced at $110,000 by Charles Ede at the Winter Show. New to the Winter Show this year is London antiquities dealer Charles Ede. 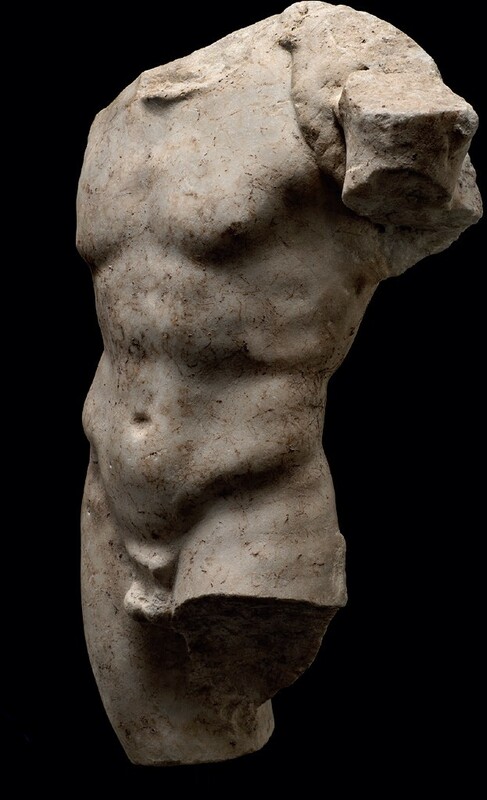 The Mayfair firm will be showing a Roman marble torso statue of Hercules from the 1-2nd century AD, priced at $110,000. The 12in (30cm) high statue has a provenance to Emily Hall Tremaine (1908-87) of Connecticut (acquired before 1951) and The Santa Barbara Museum of Art, to which it was given in 1951 and where it was exhibited until 1999. Among the London dealers at the Winter Show is Apter Fredericks. As well as the classic 18th century English furniture for which the firm is known, it will be taking an unusual highly decorative pair of Chinese nodding figures. They date from the Daoguang period of 1820-50 and are unusual for featuring the original silk costumes, which are in remarkably well-preserved condition. The figures are priced at $100,000. 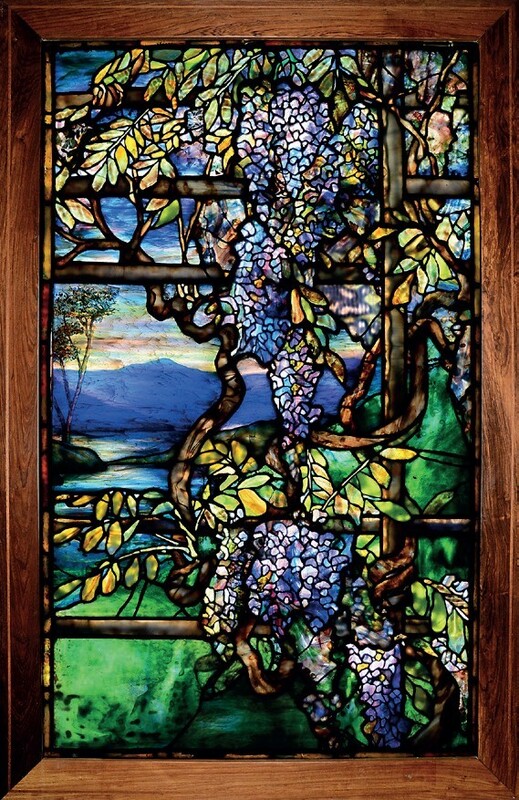 A stained glass Wisteria Tiffany window, priced at $575,000 by Macklowe Gallery at the Winter Show. The Macklowe Gallery from New York specialises in 20th century decorative arts, notably Art Nouveau, Tiffany works and jewellery. Among the works it is taking to the Winter Show is this 3ft 10in x 2ft 6in (1.2m x 76cm) stained glass Wisteria Tiffany window priced at $575,000. The view it depicts is possibly from Laurelton Hall, Tiffany’s country estate. A 17th century Flemish still-life by Joris Van Son (1623-67) will be offered by US dealer Robert Simon at the Winter Show. The 19in x 2ft (48 x 62cm) oil on panel featuring a typical series of still-life elements (a Chinese blue and white bowl, gilt cup and a variety of fruit) is priced at $200,000. Paris, New York and Chicago-based Les Enluminures is a long-standing exhibitor at the Winter Show, having stood at the event for about 25 years. For this latest edition the firm will be presenting its new themed catalogue devoted to books of hours under the title Medieval Must-haves, as well as a selection of sculpture and medieval and Renaissance jewellery which is Les Enluminures’s other speciality. Use of Sarum book of hours, c.1405-15 made in Bruges, priced at $150,000 by Les Enluminures at the Winter Show. 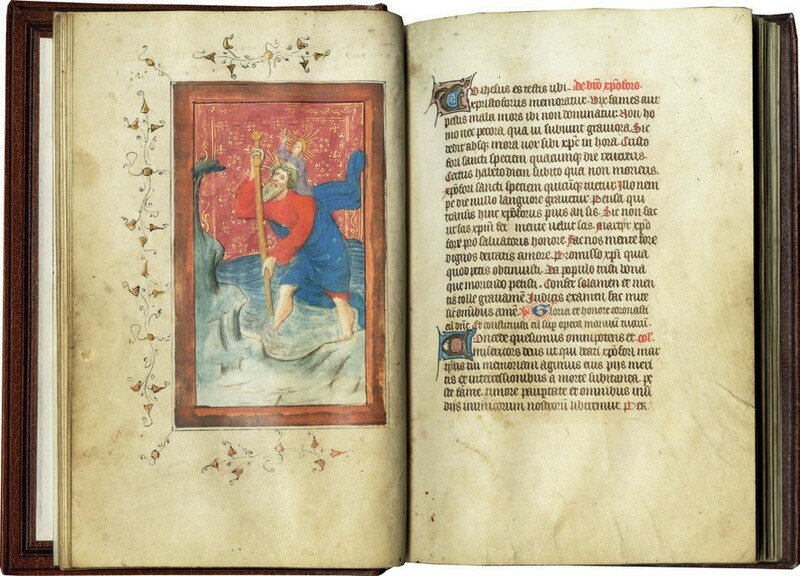 There are 18 illuminated books of hours from France and the Netherlands, which were the major centres of production in the Middle Ages, at prices starting from $30,000. Pictured here is one of them, a Use of Sarum book of hours in Latin of c.1405-15 made in Bruges for export to the English market. Its provenance can be traced back from its origin through nearly two centuries in prominent English families. It is decorated with 12 miniatures by the Master of the Beaufort Saints and associates and is priced at $150,000.